One of the most effective and efficient ways to learn how to write a research proposal is to follow the example of leading academic editors from the best thesis services that have a passion for passing on their skills to the next generation. 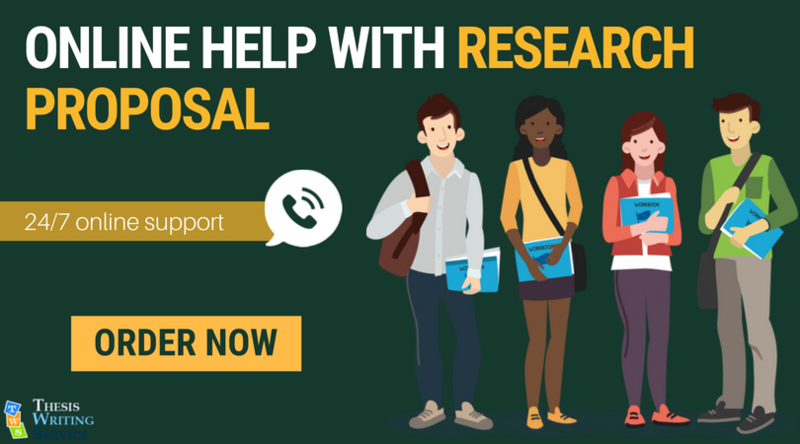 With the help of a well-written research proposal sample, you’ll quickly be able to understand what it really takes to get your research approved by your professors and funded by your college and other financial backers. If you’ve never been successful in such an endeavor, it’s difficult to see how to format a research proposal in the right way. Rather than worrying and fretting needlessly, you can simply avail yourself of a top research proposal outline example provided by a genuine expert in your field of study. Take into account the handy tips and pointers below, and you’ll be well on your way to achieving your academic dreams. Your proposal may contain anything from 1,000 to 3,000 word, and although it may sound like plenty of space to make your position known, you have to be careful to include all the right points. You must define your topic of interest and make sure that it can lead to a unique research question that you may pursue for a number of years. The last thing you want is to run out of steam halfway through your intended project. You have to include relevant subheadings and always write in perfect, professional English. In fact, the requirements are so strict that a single spelling mistake could be fatal. Much like any academic text, you are going to have to include a list of the references you used during the process of discovering your favorite topic. You must also actively use these references in the main body of text to make sure you justify your proposal adequately. You would be best advised to also include some kind of information on the research methods you intend to use as part of your investigation. Your professors are going to want to see how your research will play out in reality. By using our highly esteemed service to obtain a research proposal outline example and learn all you can from it, you stand to benefit in a number of incredible ways. Here are some of the main reasons why our successful customers keep coming back time and time again. All of our writers and editors are consummate professionals, enjoying decades of experience and possessing at least a master’s degree in their chosen area of expertise. We make sure that any work produced is checked with the most powerful anti-plagiarism programs out there. You’ll be guaranteed to submit a text that’s totally yours. You will enjoy direct access to your chosen writer or editor. We have done away with the need for any intermediaries so you can simply get on with achieving your goals. We have happy customers all around the globe, having helped international and domestic students to reach their full academic potential no matter how they started out. In the vanishingly unlikely chance that you’re not satisfied with our service, we offer you your money back in full. Looking for good words to use in your research paper? Check out our list of useful thesis words! A well-written research proposal sample by professionals a really great solution for you. Use it and create your own in order to achieve only the best. The chosen methods of a particular study would largely be shaped by the paradigm adhered to by the researcher. There are three dominant form of methods used by researchers to collect and analyze data of the issue that they want to conduct research on, which are qualitative, quantitative and mixed research methods. In the field of educational research, it is important to understand the distinctions between qualitative and quantitative research methods because scholars would claim that these methods are too different from each other, and their differences cannot be reconciled. Intuitively, the best research design is dependent on the topic being researched (Hycner, 1985). However, other factors would also shape the decision to use a specific research method. As said, the researcher’s paradigm is one such factor, if not the most important factor. Another factor is the researcher’s own experiences and preferences. The proposal of any research is written to discuss the major purposes of conducting that study. All the important elements are discussed in the proposal to show what is being shown in the paper (that should be definitely never discussed before). Come up with the unique idea every time when you think of working on an academic study. This can be quite helpful to brighten up chances of proposal’s acceptance. Some important components that are necessary to be added in the research proposal are an overview of the study, methodology and the discussion of few published papers (to be used in the Literature review). Another important point is to discuss the problem of the study for which you’re going to find a solution(s) through proper method. Every research requires having a proposal submitted for the approval to begin work on it. Try to a proposal by following the appropriate format. Various studies have used the quantitative approach in assessing the use of simulation in medical education. For instance, Morgan and his colleagues performed a study evaluating the efficacy of simulated-based teaching against to videotape teaching through the use of performance-based assessments as well as written examinations. The sample used by the researchers was 144 students out of 177 invited. Although the researchers did not exclude anyone in the recruitment process of participants, 33 of them excused themselves and this can have the potential of resulting in selection bias (Polit & Hungler, 1995). Polit and Hungler specifically conducted a quasi-experimental study design, which called for a pretest, posttest and randomization to treatment group. Using this quantitative type of study led to risks such as possible threats to internal validity such as history, maturation, selection, testing as well as instrumentation. In addition, this specific quantitative study was limited by not controlling for any threats to external validity, examples of which are the Hawthorne effect, novelty and experimenter. A quantitative research design’s main objective is to measure a controlled element of human behavior without bias and in an objective manner (Creswell, 2005). Quantitative methods are usually associated with the positivist paradigm. Most of the time, the method is utilized to investigate cause-effect phenomena (Gay, Mills & Airasian, 2006). Quantitative research is designed to ensure objectivity, generalizability and reliability (Weinreich, 1996). According to Johnson and Onwuegbuzie (2004), “The major characteristics of traditional quantitative research are a focus on deduction, confirmation, theory/hypothesis testing, explanation, prediction, standardized data collection, and statistical analysis.” (p. 18). The basic design of a causal-comparative study is for the revealing of a causative relationship between an independent variable and a dependent variable. Another limitation with the quantitative method implemented by Polit and Hungler (1995) was that it did not discuss how validity and reliability of the instrument were measured. For one, the tests they performed were not videotaped; if they had, it would be easier to ask a third party to evaluate the tests and implement interrater reliability. The method however, allowed the researcher to perform ANOVA tests and these allowed the researcher to determine that there are no statistically significant differences between pre-test and post-test scores of the participants after simulation was implemented. Such conclusion cannot be determined using the qualitative approach. This is because quantitative research designs are implemented mainly to reveal a relationship by analyzing the specific variables (Creswell, 2005). When the researcher has decided on a topic and the specific issues to be investigated, and decided to use the quantitative research design, he or she will proceed with the gathering of data from a specified population, and will use statistical tools to analyze the data gathered. Once analyzed, a quantitative researcher will be able to explain the relationship between the variables, which characterizes the description of trends in quantitative research (Creswell, 2005). Quantitative research collects data from a specified population and statistically analyzes the data. Quantitative research designs have their own limitations. They are of extreme help when analyzing or describing relationships between variables and in showing correlations. However, they are limited when it comes to defining causation or explaining diverse human interactions taking place on complicated social settings (Cronbach, 1975).Research on simulation in nursing seeks to identify self efficacy, confidence, competence, and other outcomes determined by indicators of critical thinking and decision making. Much of the researchers conducted on simulation in nursing have been conducted using a quantitative approach. Much of the research on simulation in nursing has been conducted using a quantitative approach. In a study using simulation to teach caring in nursing, Blum, Hickman, Parcells, and Locsin (2010) utilized a quantitative approach with a novel for teaching caring and a pre and post test to assess caring behaviors. Results of this study indicated that nursing students’ behaviors improved after simulation, modeling and debriefing on caring behaviors. The SPSS was utilized to complete numbers assigned to caring behaviors, ethnicity, and weighed means for caring dimensions. A quantitative approach brings a certain kind of philosophical assumption to the study in a deductive form, using research strategies like experiments. Quantitative research should incorporate the testing of theories or hypothesis regarding relationships among variables. Internal validity and credibility are methodological aspects of quantitative studies that should be considered, as well as quantitative statistical analysis in an attempt to identify trends over time. Chi-square tests can also be conducted to assess differences between variables according to criteria. In qualitative studies, sources of data and instruments are descriptive. Description of study characteristic and study population is also expected in quantitative studies. When considering key methodological components, researchers should consider defining outcome measures. Quantitative studies usually depend on quality indicators like internal validity, reliability, and generalizability. Bantz, et al. (2007) advised that most student evaluations on learning with simulation were conducted using Likert-type scales in quantitative studies and open-ended questions. For example, Smith and Rohers (2009) utilized scales in their investigation of student self-confidence and satisfaction with clinical simulation. The uses of such scales to evaluate simulation in nursing are supported by the National League for Nursing. Quantitative could be effective in capturing nursing students’ level of anxiety. Nursing students have experienced anxiety throughout simulation procedures especially if they do not know what to expect, and their inability to accomplish the desired outcome in the time allowed. Additionally, some nursing students think that they do not have the ability to care for the patients that will be presented in the simulated scenario. Important data can be collected at various times during simulation, especially in cases where there is little or no understanding of the clinical situation being simulated. Self critique during debriefing can also be major source of anxiety, which can be studied by quantitative methodology. As opposed to the quantitative research design, qualitative research method is chosen by researchers who want to have an in-depth or comprehensive understanding of a paradigm. In qualitative research studies, the researcher often has limited knowledge about the problem that he or she wants to study or even about the variables pertinent to the topic before the study is conducted (Creswell, 2005). In nursing research, using qualitative method allows the researcher to capture and then communicate the client perspective of healthcare. Qualitative nursing research allows the findings to influence the health policy at both national and local levels. If researchers want to ask about behavior and participants’ experiences, qualitative research is the more appropriate (Bowling, 2002; Greenhalgh and Taylor, 1997). For example, while quantitative research can measure patient concordance, using this method would not allow for insights on how to improve it. Conversely, qualitative research will be better at examining the causes and generating ideas to resolve certain problems. This is why, most of the time, qualitative research designs employ only a small number of research subjects. Data are presented in textual forms as opposed to the numerical forms presented by the quantitative method. In qualitative research designs, text analysis is used to describe information and categorize the information or data into themes (Creswell). A qualitative research method would not be appropriate because if the proposed research will involve a large number of research subjects and the relationship between variables can be better analyzed utilizing quantifiable data. Qualitative research design is a derivative of the quantitative method. The outcome of the research is established by the views and experiences of the participants of the study (Creswell, 2005). Unlike the quantitative research method, this method tries to uncover human experiences and their meanings through the understanding of human’s everyday interaction with his or her environment (Poggenpoel, Myburgh, & VanDer Linde, 2001). Qualitative researchers gather data from a natural setting to produce or form a theory by closely observing and carefully documenting a particular phenomenon. The qualitative method of research has long been preferred by social scientists, as they try to understand more about specific real-life situations that will offer a foundation for other ideas and other methods to be applied (Erickson & Gutierrez, 2002). Instead of looking for statistically-valid proof to support the hypotheses made by quantitative researchers, qualitative researchers focus on the comprehending of a phenomenon within its context or environment. The results of qualitative research studies offer an in-depth analysis of the phenomenon (Stuart, 2003). Compared to quantitative methods, qualitative researchers have central roles to play in the study. They are positioned within the studies to collect data on their chosen participants. According to Creswell (2005), a qualitative inquiry is chosen to investigate issues through one or more perspectives within a bounded system over time. Researchers look for, sift through, and analyzed thorough and detailed data coming from multiple sources of information. Another advantage of this study is that the researcher can present data important to the study through various means, such as surveys, interviews, document or synthesis review and more others. This will allow the researcher to gain the complete story on the topic he or she is interested in. According to Yin (2003), there are five significant components when conducting a case study research, and these are the study’s questions, hypotheses, the unit(s) of analysis, the conceptual framework (or the logic associating the data to the propositions) and the criteria used for interpreting the findings. With qualitative nursing research, the researcher can collect textual material from interviews and observations in an attempt to understand the desired phenomenon. The qualitative case study methodology has historically been used in health sciences. For example, it has been used in population-based studies (Romney, et al., 2011), and in high fidelity simulations to study nursing students’ self-efficacy (Leigh, 2008). Since qualitative methodology relies on an inductive reasoning to determine to mean acquired from data collection, it is helpful in nursing research when the objective is to understand behaviors of students and their experiences with clinical simulation. Qualitative methodology is ideal to research clinical simulation in nursing, particularly with the use of case studies. Case studies have been used to conduct studies in nursing education (McCarthy, 2006), and community-based practice. Creswell (2008) has determined that qualitative case studies are best to explore and understand phenomena in real life circumstances. This theoretical foundation serves to inform the utilization nursing simulation labs to simulate clinical situations in a safe environment. By utilizing case studies in this context, a researcher could research phenomena about nursing students. One such study was conducted by Baxter and Rideour (2006) to evaluate how second-year baccalaureate nursing students make clinical decisions. By its name, the mixed research design is the combination of the two opposite methods, qualitative and quantitative research methods. This research method emerged as a third methodological movement in educational research as an attempt to went beyond the quantitative versus qualitative arguments (Teddlie & Tashakkori, 2003). The objective of the mixed methods is not to compete with quantitative or qualitative approaches, or even replace them. The goal of this method is to draw from the strengths of the two approaches while moving away from their limitations (Johnson & Onwuegbuzie, 2004; Twinn, 2003). Mixed methods serve the researchers who are conducting studies that are by their nature, ask questions that can be answered either by qualitative and quantitative research methods Onwuegbuzie & Leech, 2005). According to Tashakkori and Teddlie (2003), although mixed methods combine qualitative and quantitative methods of data collection and analysis, the types of questions asked seem to tend toward one side, either quantitative or qualitative in nature. An educational researcher requires all the tools he or she can get to arrive at a bigger and clearer picture of the topic he or she is interested in. Therefore, he or she needs to have various methods and designs to address complicated and interdisciplinary research problems. The use of mixed methods research could provide nursing faculty with evidence to create learning environments conducive to the acquisition of knowledge, skills, and confidence. Studies showed that when in a controlled clinical simulation environment, students can understand clinical content, develop communication skills, and follow safety guidelines (Iornside, Jeffers and Martin, 2009; Michel and Sure sky, 2010). Nursing science is very complex, requiring the integration knowledge, skills, safety, and confidence, integrated with multidisciplinary applications. This complexity indicates a context for the use of mixed methods methodology. Such complexities are noted in mixed methods studies that are used to address cancer care (McPherson and Leydon, 2002) and learning environments (Dunn and Hansford, 1997). When researchers combine both quantitative and qualitative research methods, the strengths of both designs can be maximized, leading to a better research outcome, provided the method is appropriate for the specific topic. Some called the mixed methods research as the third movement in the evolution of research methodology, with reason. Most educators choose this approach (Tashakkori & Teddlie, 2003). Conclusion The need for researchers to utilize a combination of qualitative and quantitative methods in one study is indicated in the literature. These efforts could provide richness in quality and depth that will serve to inform the professional practice of nursing and nursing education. Qualitative and quantitative modes of inquiry have the potential to provide practice-based evidence, and when combined, these methods could serve as interventions that are effective in improving health outcomes. Cascio, W. F., & Aguinis, H. (2005). Applied psychology in human resources management (6th ed.). Prentice Hall, NJ. Creswell, J. (2009). Research design: Qualitative, quantitative, and mixed methods approach. (3rd edition). Thousand Oaks: Sage. Creswell, J. W. (2005). Educational research: Planning, conducting, and evaluating quantitative and qualitative research (2nd ed.). Upper Saddle River, NJ: Prentice Hall. Cronbach, L. (1975). Beyond the two disciplines of scientific psychology. American Psychologist, 30(2), 116–127. Erickson, F., & Gutierrez, K. (2002). Culture, rigor, and science in education research. Educational Researcher, 31(8), 21–24. Polit, D. F. & Hungler, B. P. (1995). Nursing research: Principles and methods (6th ed.). Stuart, B. (2003). Research methods report Qualitative case study. Retrieved January 20, 2004, from http://www.ischool.washington.edu. Van Maanen, J., Dabs, J. M., & Faulkner, R. R. (1982). Varieties of qualitative research. Beverly Hills, CA: Sage. Yin, R. K. (2003). Case study research. Design and methods. Thousand Oaks, CA: Sage. A carefully written research proposal sample is an indispensable aid when it comes to learning how to get your project approved the first time around. Our writers and editors can show you the ropes so you can get off to a flying start, or they can even help you compose the whole text. Whatever your needs might be, we are just one click away. Also, you can check out our business research proposal sample. Make the most of the finest research proposal sample opportunities. Learn from the best teachers available!